New from Bonnie Jean Clothing Collection! This Cute Bonnie Jean infant or little girls Halloween or autumn outfit is perfect for Fall outings. 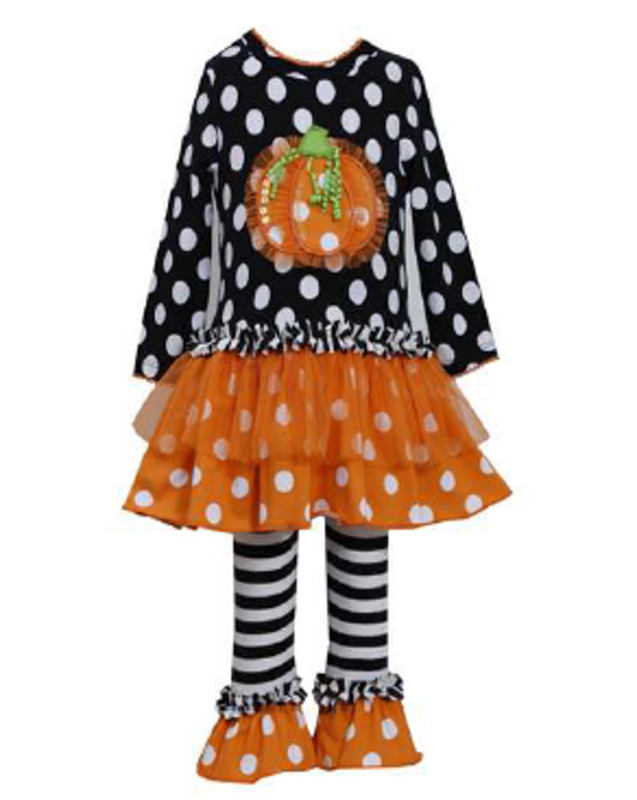 Black polka dot knit long sleeved tunic top has a ruffled waist and tiered skirt with polka dots and orange mesh. The knit top also features Pumpkin applique! Black stripe cotton spandex leggings with flared polka dot hem complete this fall themed Bonnie Jeana outfit. Machine wash. Imported by Bonnie Jean.